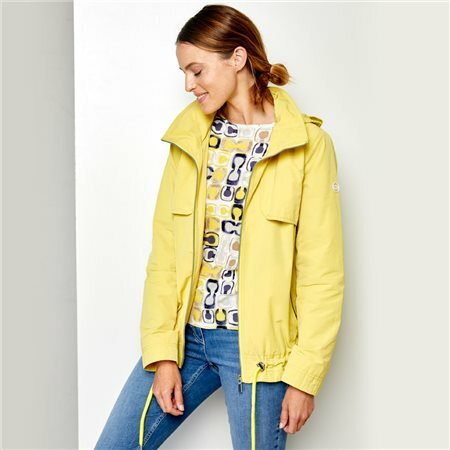 Gerry Weber has created this super stylish coat to be water repellent with a high nick collar and fold away hood. Gerry Weber has also included drawstrings along the hem allowing you to tighten and adjust for your liking. This is a short length coat with a full zip closure and two lined zip pockets.